Photo: From Rev. 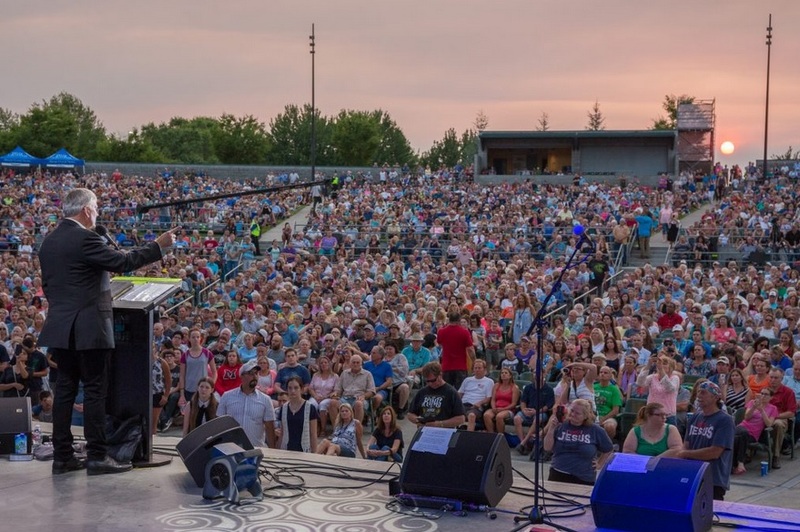 Franklin Graham singer Jeremy Camp Oregon tour. 1. 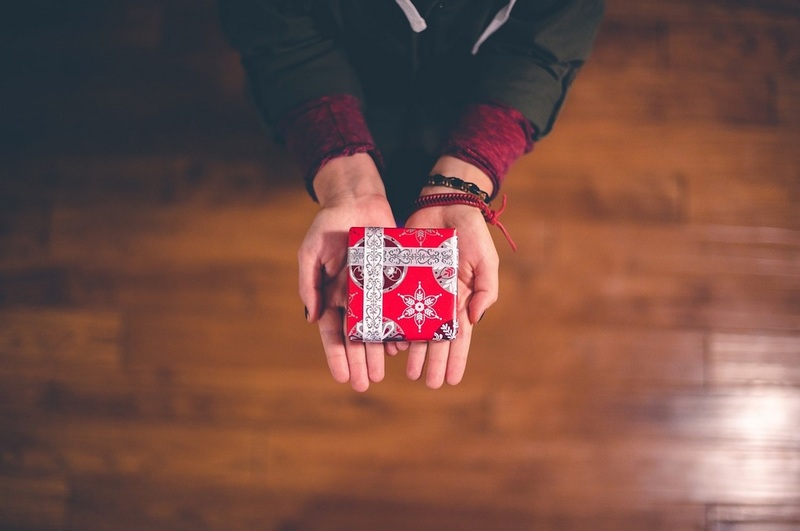 Post-Millennials – today’s 6- to 21-year-olds, also known as Generation Z – are on track to be the most racially and ethnically diverse generation yet. A bare majority of post-Millennials are non-Hispanic white (52%), while a quarter are Hispanic. And while most post-Millennials are still pursuing their K-12 education, the oldest members of this generation are enrolling in college at a significantly higher rate than Millennials were at a comparable age. 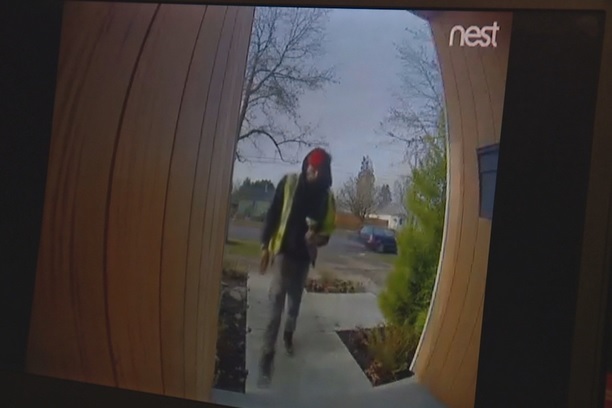 The increase in online ordering has given rise to increased cases of thieves stealing items off people’s front porches upon delivery. Thanks to new affordable homer surveillance technology many neighbors are capturing the culprits on video. 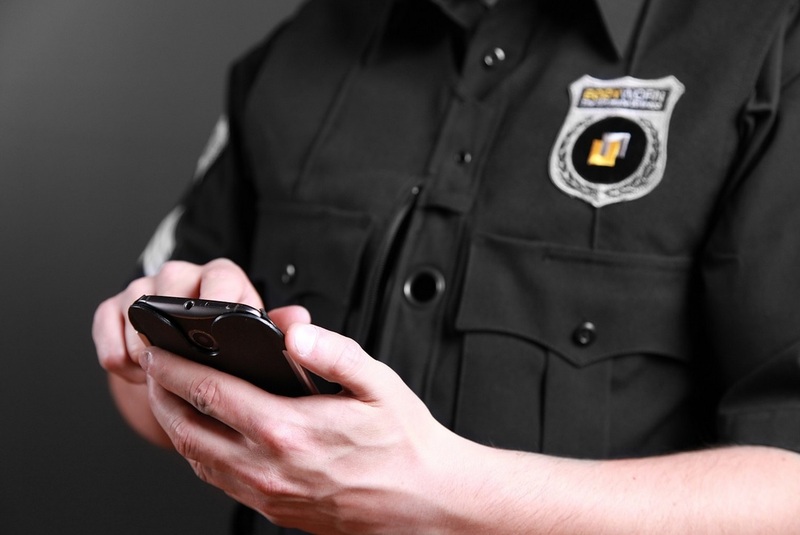 The video helps law enforcement see the criminals and provide clues. With attention on violence in public spaces increasing, including incidences at places of worship, the Northwest Baptist Convention sponsored a “Church Security in the 21st Century” conference that drew more 75 attendees to three locations in recent weeks. In the Sunday Oregonian, December 23 2018, the second full page Christian ad of the year made its appearance. 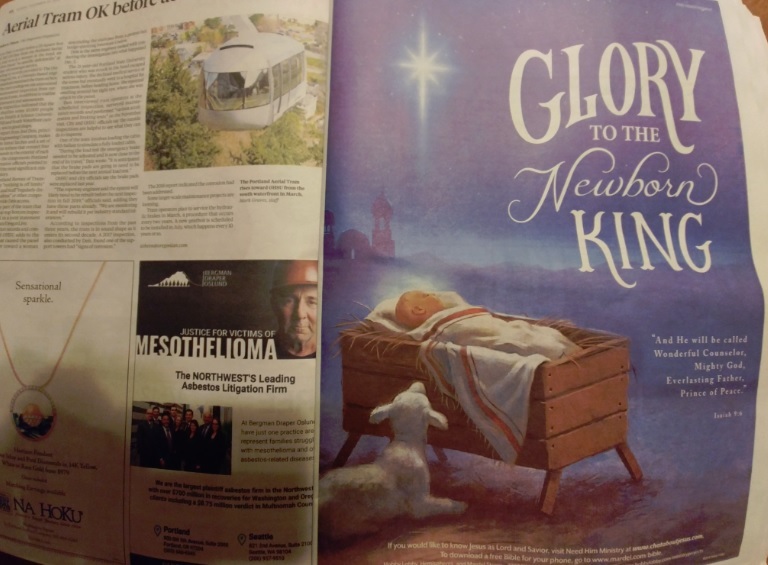 This ad featuring a Nativity scene of Jesus in manager along with the messiah Bible verse Isaiah 9:6 was placed by Hobby Lobby stores which recently began opening stores in Oregon. These ads are rolled out nationwide and can be seen here. 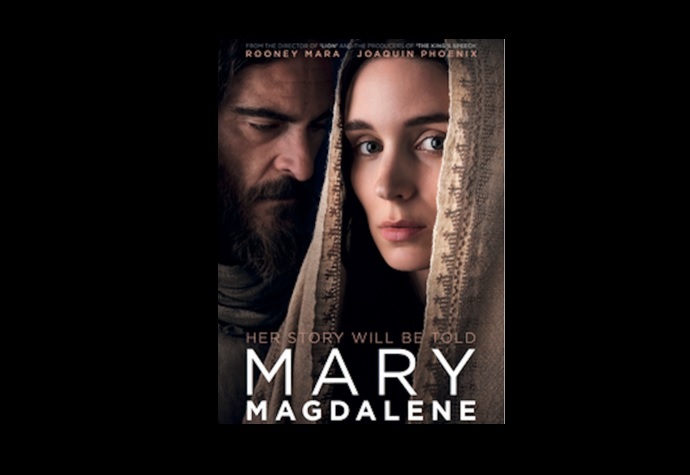 “Mary Magdalene” made the big screen in the U.K. and Australia, but it never made it to the U.S. That’s largely because the film was left in limbo when the Weinstein Company, the movie’s American distributor, crashed following the arrest of Harvey-the-predator-Weinstein. The movie also didn’t get the most raving reviews. Things are getting worse for all people of faith in China. First we had the news that China had built large scale re-education camps for Uighur and Kazakh Muslims in the far Western part of China. The BBC reports that hundreds of thousands of Muslims are separated from their families and forced to attend retraining classes. 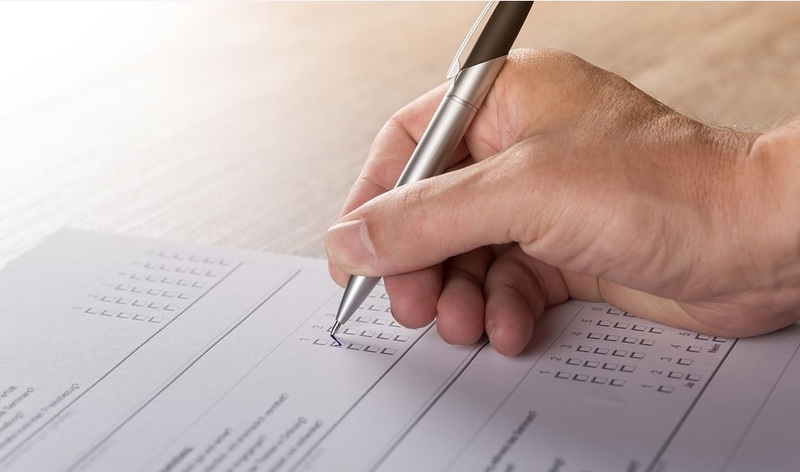 Secondly, we had the news that China began passing new stricter laws on church registration this year which negatively impact all areas of church life. 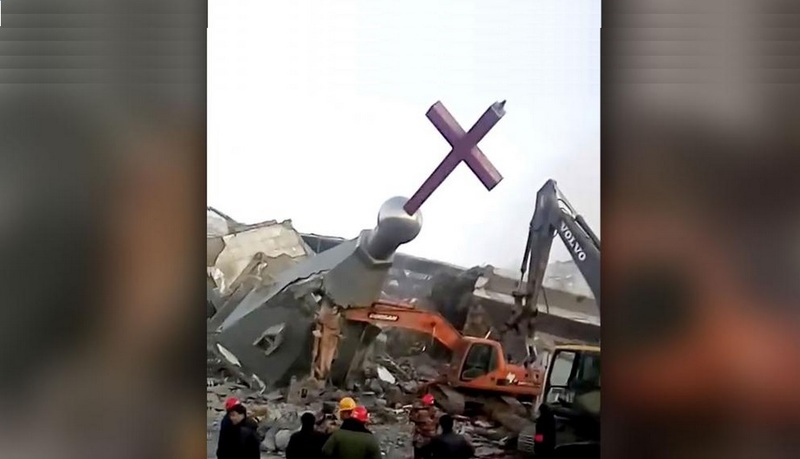 Now we have reports this fall of China’s government closing churches and removing public crosses. Concrete pots with newly installed plants are showing up in Portland around sidewalk areas popular among the homeless. The plants block the homeless from sleeping on the sidewalk under bridges and other areas. The interesting fact is that no one is taking credit for the plants and no one seems to know who is doing it. Watch the KATU-2 video for more information. Oregon mom finds a way to help out the caravaners seeking asylum. Watch the KATU-2 news above.